Adult RPG Evenicle is now out on MangaGamer. 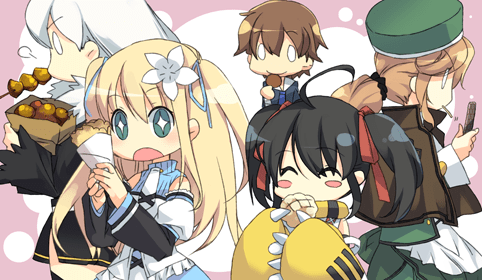 The Alicesoft title features art from Yaegashi Nan who’s worked on the Senran Kagura series. Here’s a brief description of the plot of the game. “When Mother Eve created the world, she gave humans two rules to follow. All philanderers and murderers lose Mother Eve’s blessing, and such sinners are branded as Outlaws and shunned. The strongest people may be permitted to become Knights, and are allowed to marry multiple partners, so as to better pass down their superior genes. Asterisk, our hero, wants to marry his two beautiful twin sisters. His solution to this quandary? Evenicle is now available on MangaGamer.